Submitted by Keith Smith on 10 June 2018. I had a great opportunity to travel on the Laurence M. Gould and accompany a research team from Duke University. The day started out on the bridge of the ship with everyone looking for whales. When we finally reached Andvord Bay, we immediately saw two whales breach the surface. The boat stopped to let the Marine Techs (MT) unload the two Zodiac boats. To get into the zodiac from the ship you need to descend the LMG on a Jacob's Ladder. 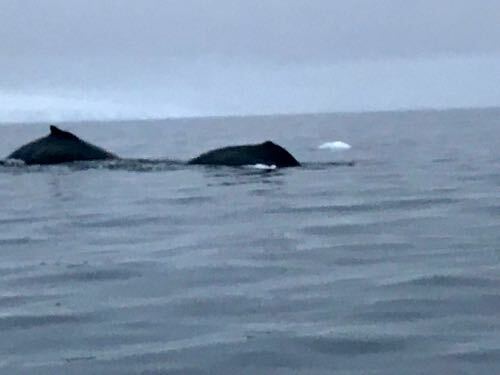 The researchers went in one boat with an MT driving, and we followed in the next Zodiac to help spot whales, since we only get about four hours of daylight, so spotting the whales is incredibly important. For the first hour or so, we did not have any luck spotting any whales, then all of a sudden; everywhere we looked there were whales. 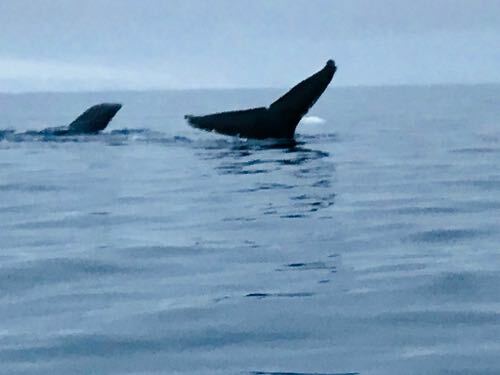 Most of the time you would see the whale for a second before its hump would make a high arc, this raise is a tell tale sign that the whale is about to dive deep, but before they descend you know you are going to get a great look at its massive fluke. The dorsal fin of the humpback whales are helpful in identifying individual whales. We were able to get within 100ft of the humpback whales. What are the scientists looking for on this whale spotting trip? 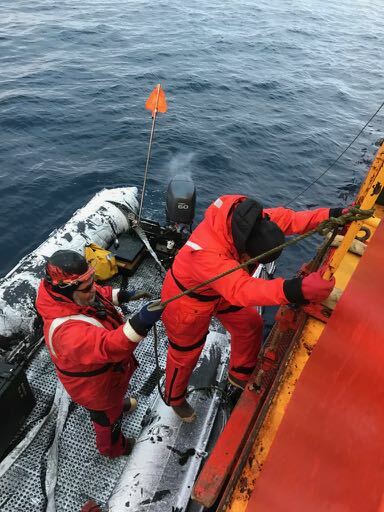 They are looking for size before and after the Antarctic feeding season. Nice pictures and story Keith. What do you use to spot whales? Binoculars, scopes or something more. Do people on the ship have a better vantage and provide some guidance on where to look? To spot the whales the bridge on the ship, a spotter zodiac and the researcher zodiac are all scanning the ocean.